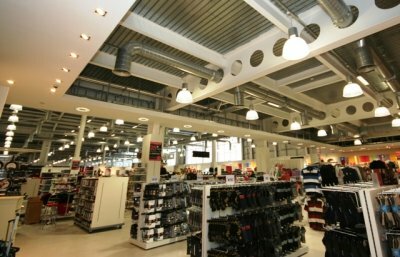 The works consisted of the fit-out of a new 2,361m² drapery department on ground floor including associated stockrooms on mezzanine level within an existing shell for Dunnes Stores. Works included the erection of partitions, mechanical and electrical installations, floor laying, erection of the retail paneling shelving and racking and decorations. The development is situated within an existing mixed use commercial development on Sleaty Road, Carlow.